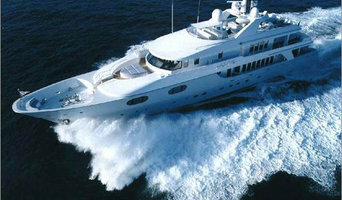 Established in 2010, Boat Style Yacht Interiors is a full service design studio with a speciality in yachts 60ft to 75m. From the replenishment of dinnerware, fine linens and soft furnishings to the complete refit of interior and exterior spaces, we find the balance between beautiful form and ultimate functionality. Our team of expert trades, craftsmen and artisans share a passion for marine delivering projects throughout the Asia Pacific region to the highest standard. Hi, I’m Leaha, I’m a qualified Interior Designer, graphic designer and project manager. I offer Australia wide, online styling solutions. I complete all product research, provide one click links to retailers, create layouts for your space, graphically designed product boards and all styling guidance. 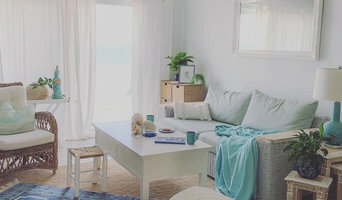 You will receive a step by step guide to self styling your space at a very affordable price plus your chosen product budget. I can also style onsite for South East QLD and Northern NSW clients. I believe that your home should be a true reflection of YOU! I inspire people to create beautiful spaces that embody who they are, where they've been and reflect their dreams and aspirations! I have a holistic approach to interior design, your home should be your sanctuary, a place you LOVE coming home to and a place where you create memories. Every space I create is designed to make your home feel as YOU, as you can be, but with the Brittany Christina touch, light filled rooms, colourful textiles, eclectic pieces, lots of texture, and brushed metals. I specialise in small to large projects and decorating functional, beautiful spaces with furniture, fabrics, accessories, and creating custom pieces tailor-made for your living spaces. As a self proclaimed travelling gypsy, I now introduce a one of a kind collection of Brittany Christina cushions, handbags and jewellery curated from my many journeys from Australia and afar. Imaginique Interiors provides consultation and project management services for innovative integration on interior architecture to meet any design requirements. We are a full service company specialising in creating projects for a diverse range of lifestyles, from simplicity to opulent spaces. Our projects range from residential projects, luxury boutique resorts and spas, community projects, holistic educational facilities, and commercial projects, delivering timeless modern/contemporary sophistication. Our services also combines landscape design within our residential and commercial projects globally. We collaborate with experts to assists in delivering quality and unique spaces. Our projects provoke the senses, uplifts the spirits, on any budget. We have completed projects in USA, South East Asia, Europe and Australia, within the private, commercial and government sectors. James has evolved and applied his knowledge across thousands of projects, home and commercial interiors and exteriors, extensions and renovations, new buildings and heritage restorations, and international resorts. While James’ core business is interior design, his passion for colour, balance and unique creations extends to his lifelong love for arranging flowers, having personally designed and arranged floral schemes for hundreds of weddings and formal events. With James, unique and authentic design meet with practicality and functionality - no two design schemes are ever repeated. At JAER Designs, every client’s creative wants and needs are personally translated and transformed by James into tangible, touchable realities. JAER Designs, at its heart, is Brisbane born and bred, however, James’ creative fingerprints can be found in homes, restaurants, offices and a list of Heritage sites across Australia and also internationally. He has built an extensive and trusted network of colleagues and contacts across the industry, which he places at the fingertips of his clients. James is also a passionate, engaging and sort-after presenter. His one-day workshop ‘the Choreography of Design’ is available by request for industry professionals, students, corporate events, DIYers and private groups, including a lecture session and entertaining practical group workshop. Rhonda McLean's Red Interiors provides clients with an individual design that is functional, timeless, simplistic and stylish. Whether it be colour or decorating advise for a single room, bathroom and kitchen design, or renovation the entire home, Red Interiors philosophy is to put your personality into your space. Rhonda has a QBCC building design license and QBCC builders license. She project manages and can take your design from the drawing board all the way through to a finished project. Rhonda is proficient in all your costing and documentation requirements for your project. Wrightson Stewart is a Brisbane-based boutique interior design practise, specialising in bespoke design for private residences, restaurants and cafes, retail stores and corporate offices. Founded in 2002, Principals Steven Stewart & Ian Wrightson lead a team of like-minded designers collaboratively sharing and offering a wealth of interdisciplinary skills. The Wrightson Stewart design philosophy is based on a holistic, client focused approach, which aims to provide solutions that incorporate the values and aspirations of the client with the practicalities of each project. Our clients liase directly with the Principals of Wrightson Stewart throughout the period of engagement. As a result we hope to make the design and construction process an exciting and enjoyable experience. 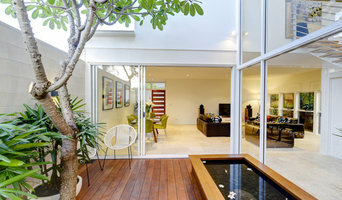 Gold Coast-based Mayflower House offers comprehensive interior decorating and styling services. Our passion is creating beautiful and liveable homes in New American Classic style, synonymous with the Hamptons. 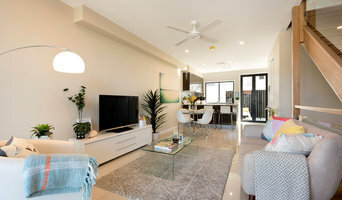 Eliza Grace Interiors focuses on small space living, stylish yet liveable homes, unique storage solutions and organisation. 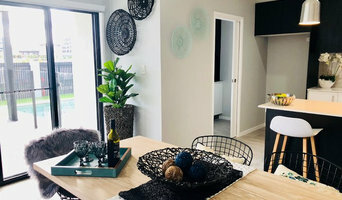 We offer a full range of services to suit every need at every price point, whether that’s our online Moodboard Service or wide range of in-home Interior Design services catering to the greater Brisbane area.